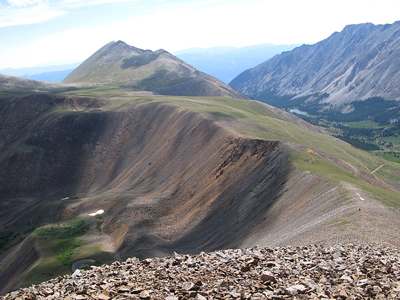 Travis and I had planned for a long weekend down south hiking Wetterhorn, Uncompaghre and Handies peak, but he had a bike crash while playing at Winter Park and broke his thumb the weekend before, so we decided to stay closer to home and hike Antero Peak. 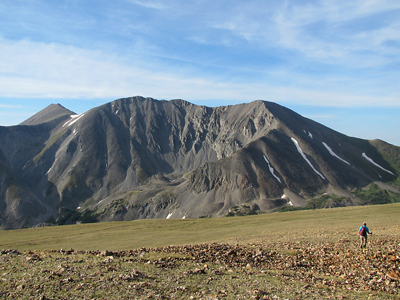 We took the ATV, parked the big truck at the bottom of the hill, loaded all our camping gear on the ATV and drove to the upper trailhead at tree line. 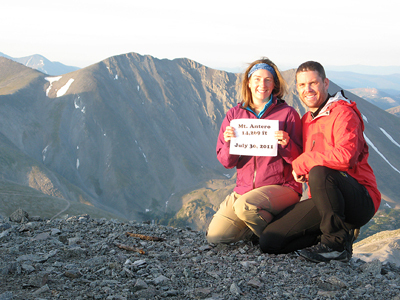 We camped there and decided to get a really early start at 4:00am so we could be at the summit around sunrise. 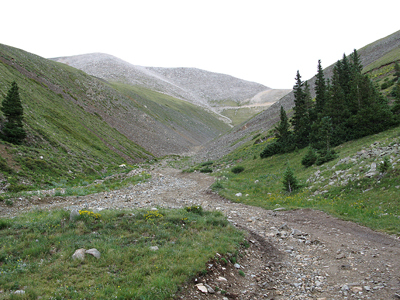 There is a 4x4 road that takes you all the way to 13,800ft and knew wouldn't be a problem to hike in the dark. 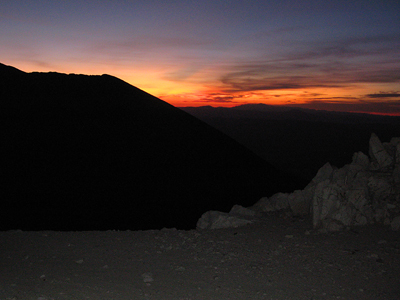 The road was easy going and we made it to the summit just after the sun started to rise. 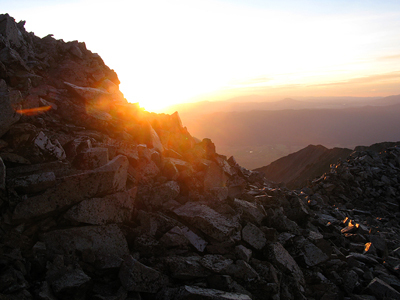 We had the summit to ourselves and enjoyed the morning beauty. 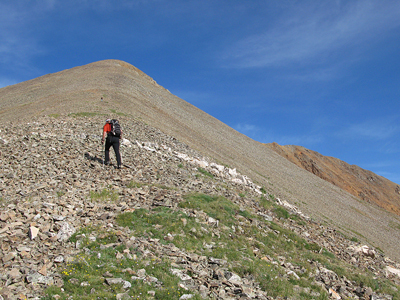 We decided to hike Cronin Peak as well. 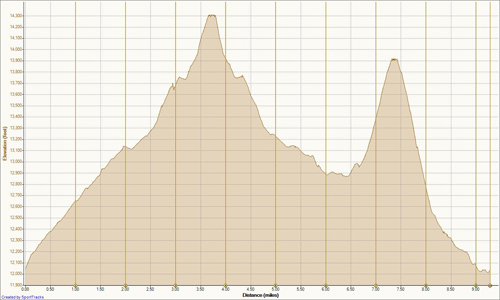 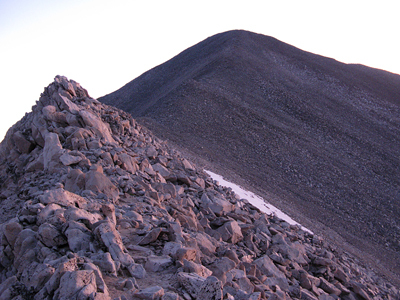 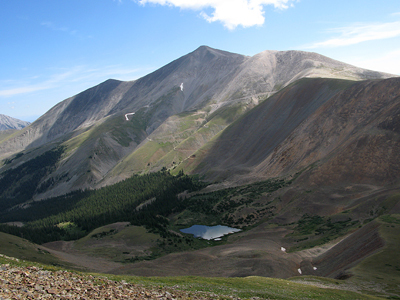 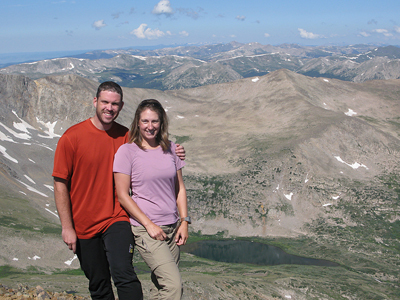 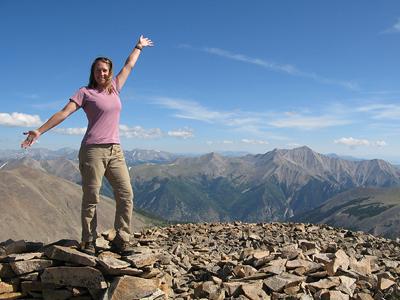 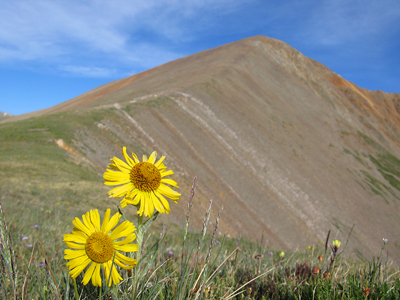 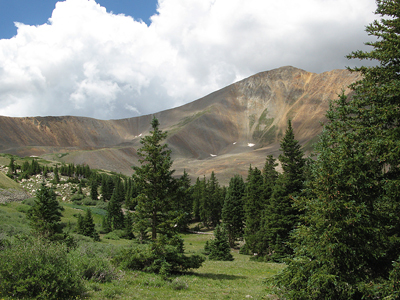 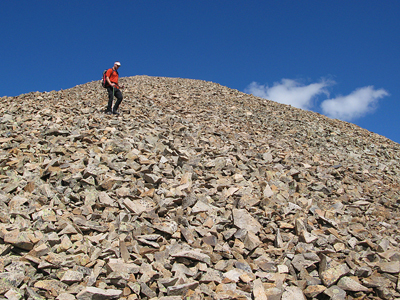 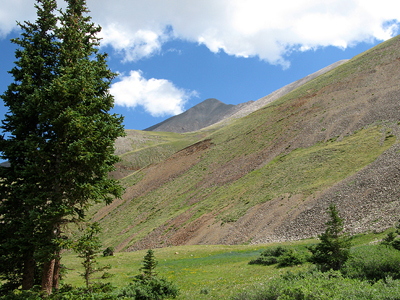 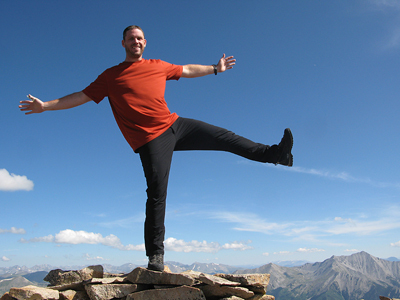 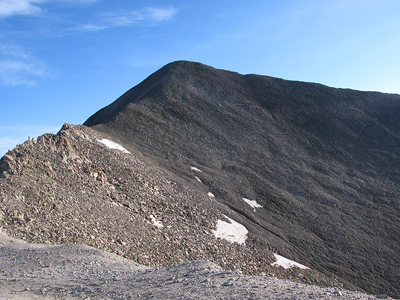 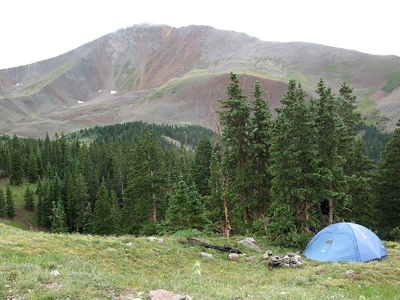 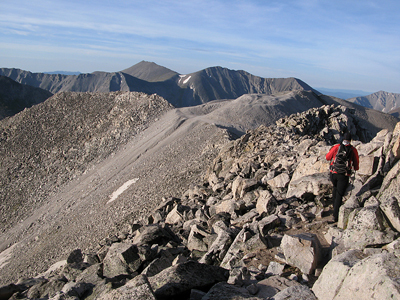 It is one of the top 100 peaks in Colorado and is about 2.5 miles from Antero. 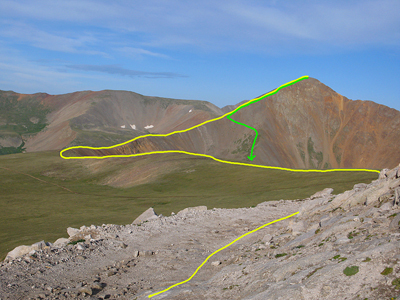 We had great weather and the traverse across to Cronin Peak was a lot of fun. 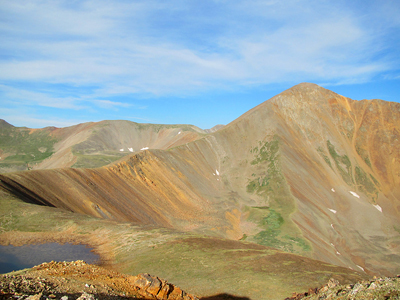 Cronin Peak is a beautiful peak with lots of color! 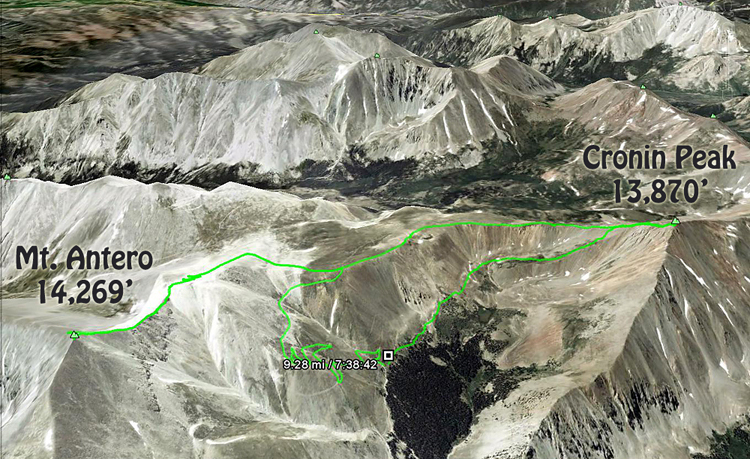 There wasn't a defined trail to the summit, so we just worked our way up the side of the mountain. 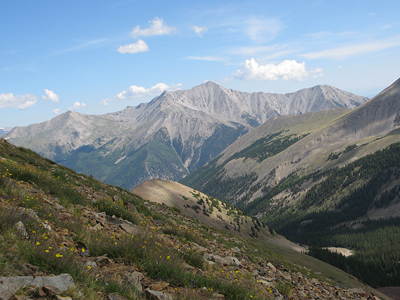 The views from the top were great and it was fun to see the route we had taken. 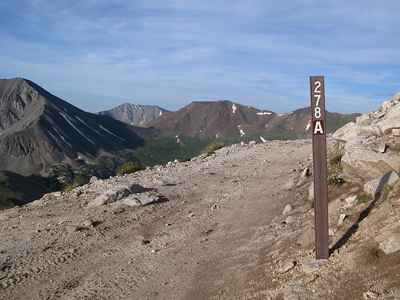 We took an alternate route off Cronin down into the basin between Cronin and Antero which allowed us to avoid all the 4x4 traffic on the main Antero road. 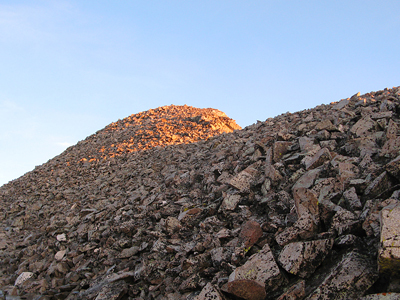 We passed some mining claims along the way and saw some rocks with traces of aquamarine and quartz crystals. 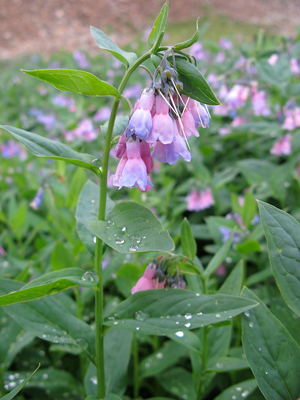 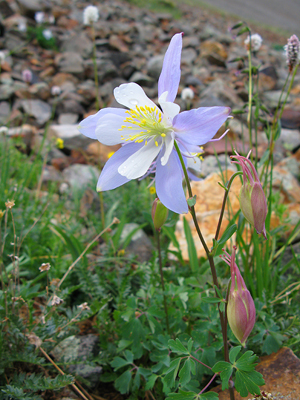 There were also a lot of beautiful columbine flowers soaking up the sun. 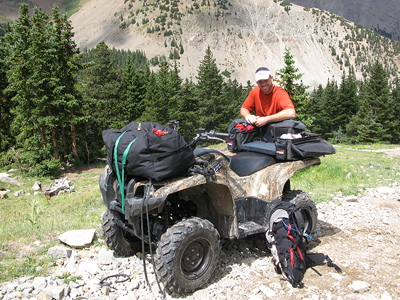 At the end of the hike, we packed our gear back on the ATV and cruised on out!